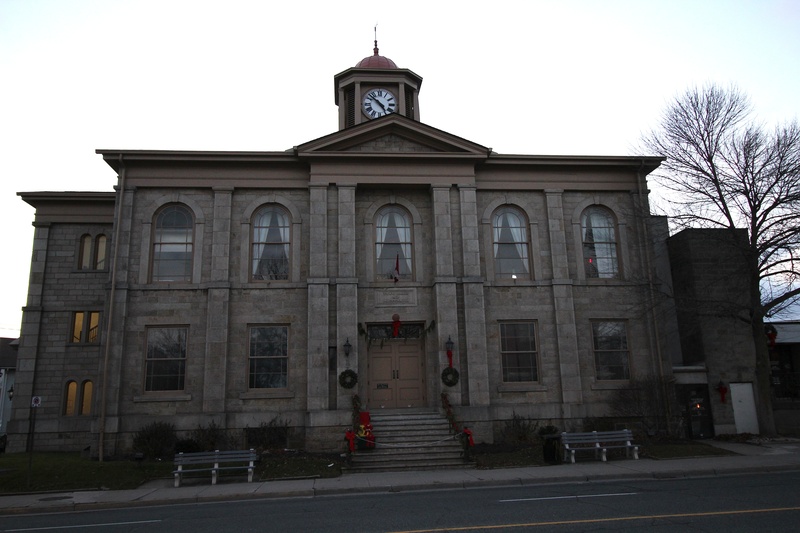 Completed in 1849, Dundas Town Hall is one of the oldest remaining municipal buildings in Hamilton. It was designed in the Neo-Romanesque tradition at a cost of £2500 by a local planing mill proprietor named Francis Hawkins. The exterior massing is row related, with Palladian symmetry on a central site in Dundas. Over the buildings history, two separate additions of differing styles have been added to the North and South sides. 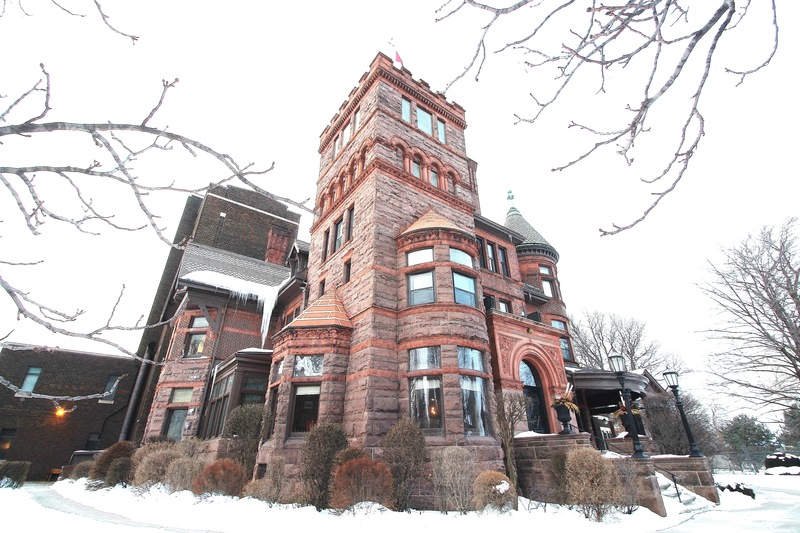 The original two-storey building consists of a sandstone exterior, complete with a central domed clock tower. 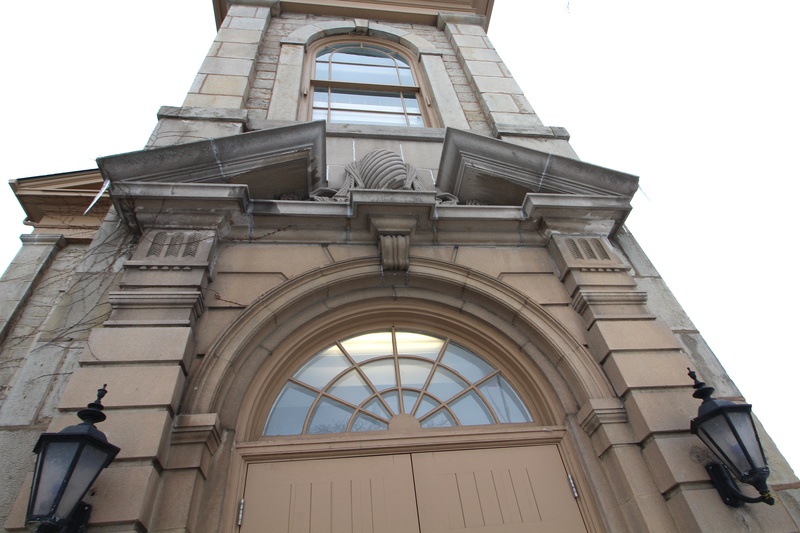 The main entrance is centrally located, flanked by pilasters, with two-doors and a leaded transom above. 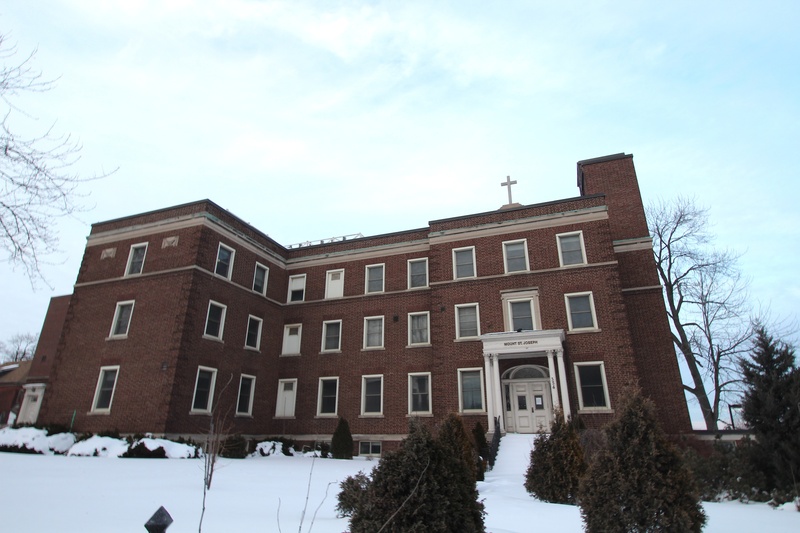 The lower and semi-elliptical upper-storey windows are double hung and proportioned according to the pilasters and horizontal belt courses, which divide the massing into a symmetrical unity. 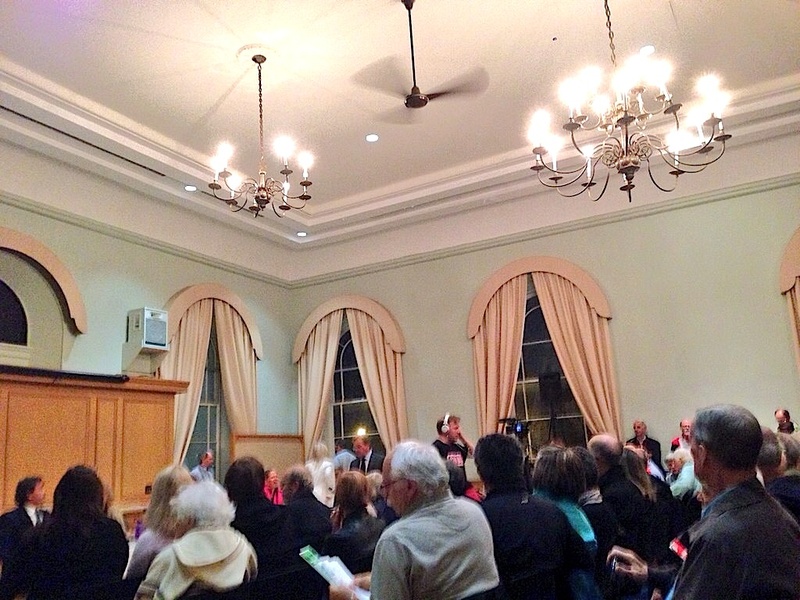 A notable feature inside the original building is it’s second floor hall. Designed in the British revival style, the lofty ceilings, chandeliers and crown molding create a traditional hall setting that is now primarily used as an auditorium. In 1946, a staircase was added as the South Entrance for greater accessibility. To the naked eye, the addition looks to fit the original style. But when examined more closely, it was built in the Edwardian fashion. 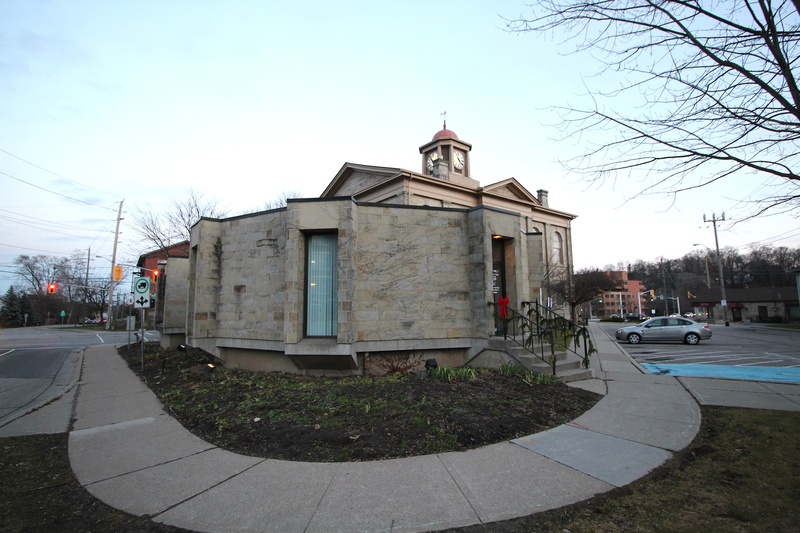 The addition is composed of Indiana limestone recovered from the ruins of a fire that demolished the Knox Presbyterian Church in 1940. With a broken pediment above the entrance, rusticated pilasters, double arch windows, and an urn embellishment, it subtly breaks away from the simplicity of the original plan. The second addition, by architect Arthur Taylor, is of a modern design. The single-storey, rotunda-like, circular council chambers features recessed windows, a peaked polygonal roof, and a modern interior. 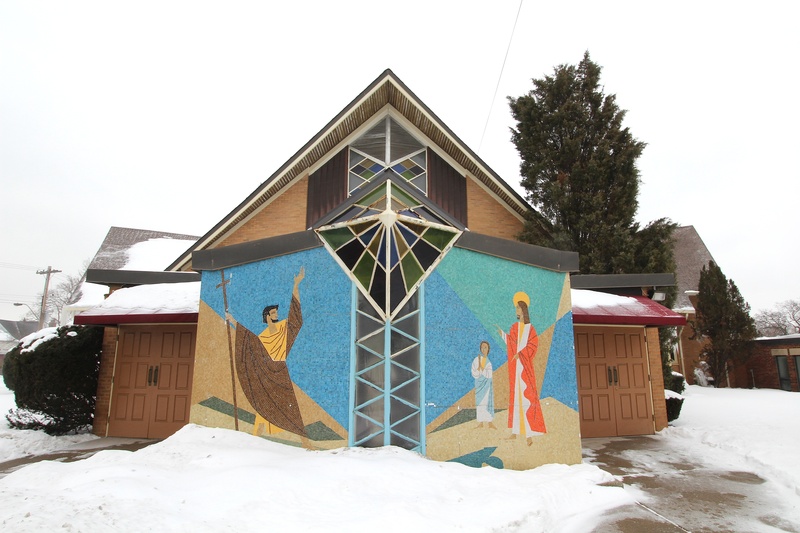 Two square offices were also added, creating architecture of geometric forms on the North Side of town hall. 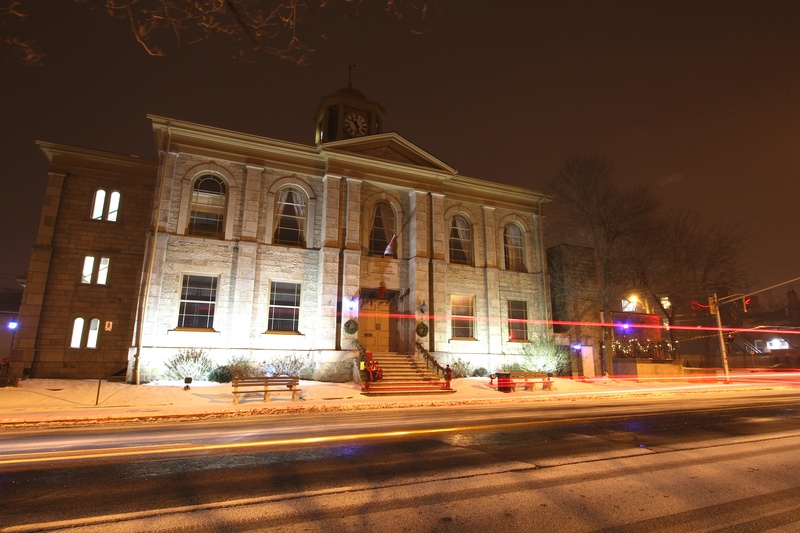 Although the addition compliments the original town hall right down to the sandstone exterior, citizens, heritage advocates, and councilors were skeptical of the design. However, after lengthy debate, it was completed in 1972 to the applause of many. The town hall is located on what was known as Haymarket Square, a meeting place for farmers throughout the area bringing produce to the town. When town hall was initially completed in 1849, it housed the town jail in the basement, alongside the Crystal Palace Saloon. The basement also had butchers’ stalls and farmers’ stands. 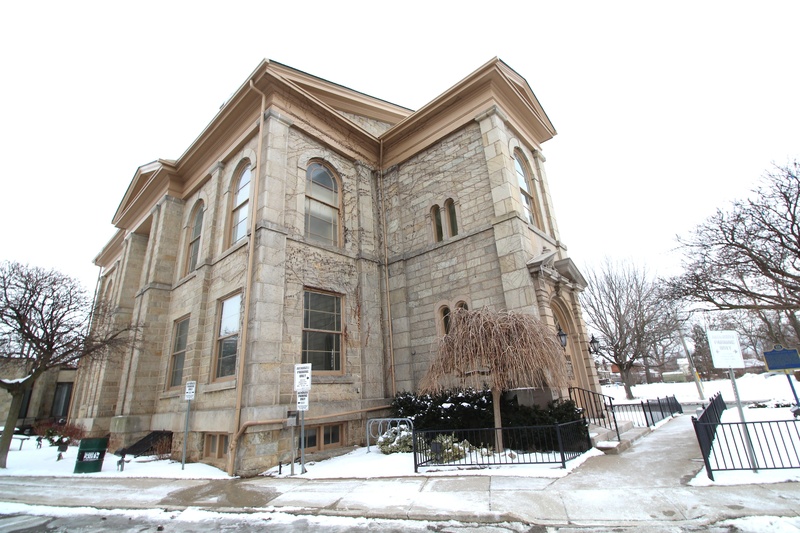 Since the amalgamation Dundas Town Hall sits underutilized, but continues to live on triumphantly as an essential piece of Dundas built heritage.